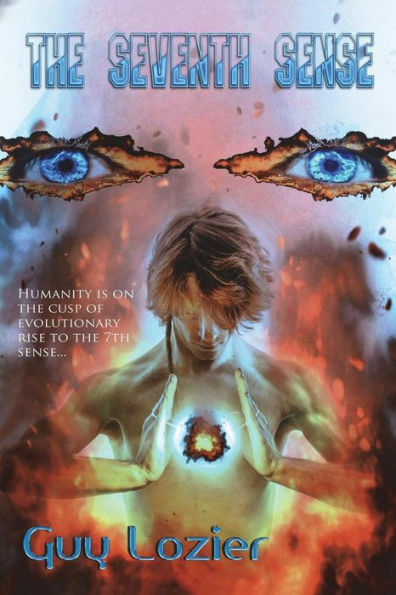 *The 7th Sense (Paperback) (Non Fiction Deal of the Day, Sponsor, Manifestation, Unlock your Sixth Sense, Create Your Own Reality, Co Create Events in Your Life) by Guy Lozier. Price: $13.99. Genre: Non Fiction Deal of the Day, Sponsor, Manifestation, Unlock your Sixth Sense, Create Your Own Reality, Co Create Events in Your Life. Rated 5 stars on 1 review. 91 pages. ASIN: B078Q3341J. 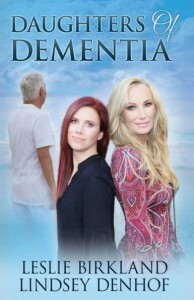 *Daughters of Dementia Paperback (Biographies & Memoirs Deal of the Day, Sponsor, Two Daughters, A Father with Dementia, A Difficult and Heartfelt Journey) by Leslie Birkland, Lindsey Denhof. Price: $6.99. 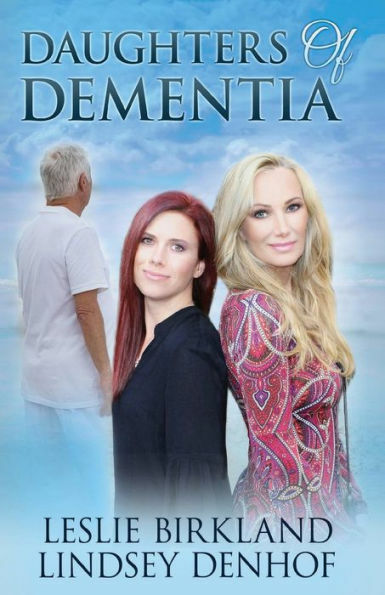 Genre: Biographies & Memoirs Deal of the Day, Sponsor, Two Daughters, A Father with Dementia, A Difficult and Heartfelt Journey. Rated 5 stars on 7 review. ASIN: B07CYZZLGL. 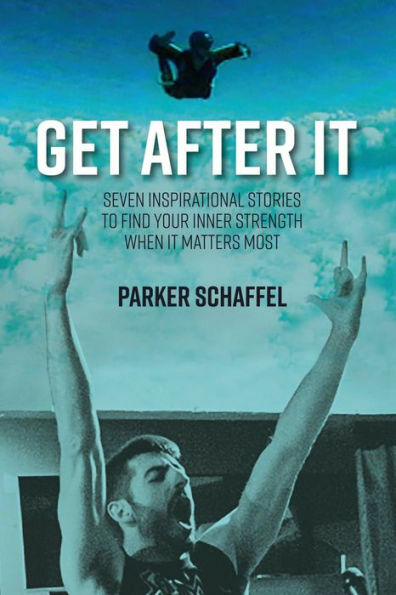 *Get After It: Seven Inspirational Stories to Find Your Inner Strength When It Matters Most (Non Fiction Deal of the Day, Sponsor, True Story, 7 Inspirational Stories from the Author, From Baghdad to Afghanistan, Stories that will make you cry and reflect) by Parker Schaffel. Price: $0.99. Genre: Non Fiction Deal of the Day, Sponsor, True Story, 7 Inspirational Stories from the Author, From Baghdad to Afghanistan, Stories that will make you cry and reflect. Rated 5 stars on 6 review. 221 pages. ASIN: B07GC1PWSM. **How the Earl Entices (Regency Romance Deal of the Day, Sponsor, Old Deception Turns into New Desires) by Anna Harrington. Price: $4.99. Genre: Regency Romance Deal of the Day, Sponsor, Old Deception Turns into New Desires. Rated 4.8 stars on 55 review. 328 pages. ASIN: B07DQS7GTH. *Joker’s Fool (Satan’s Devils MC, #8) (Satan’s Devils MC Romance Deal of the Day, Sponsor, Gay Romance, He Can’t change but he can Disguise Himself, Meets a Lady’s Man who may be His Salvation, Will he Help Him) by Manda Mellett. Price: $3.99. Genre: Satan’s Devils MC Romance Deal of the Day, Sponsor, Gay Romance, He Can’t change but he can Disguise Himself, Meets a Lady’s Man who may be His Salvation, Will he Help Him. Rated 5 stars on 10 review. 385 pages. ASIN: B07GZQYBC1. **Dan Alexander, Pitcher (Bottom of the Ninth) (Romance of the Day, Sponsor, Whirlwind of a Romance with a Pitcher, Excellent Baseball Romance, Love Finds a Way, Witness Protection Program) by Jean C. Joachim. Price: $0. Genre: Romance of the Day, Sponsor, Whirlwind of a Romance with a Pitcher, Excellent Baseball Romance, Love Finds a Way, Witness Protection Program. Rated 4.5 stars on 51 review. 241 pages. ASIN: B01M0UT7CS. *Of Lords and Commoners (Lords and Commoners Series) (Fantasy Romance of the Day, Sponsor, Historical Fantasy Romance) by Lynne Hill-Clark. Price: $0. Genre: Fantasy Romance of the Day, Sponsor, Historical Fantasy Romance. Rated 4.8 stars on 13 review. 365 pages. ASIN: B01HFH7KYO. *The Beauty in Darkness: A Vampire Story (Paperback) (Fantasy Romance Deal of the Day, Sponsor, Paranormal Romance, Beautifully written, Delicious and Unputdownable) by Leah Reise. Price: $11.00. Genre: Fantasy Romance Deal of the Day, Sponsor, Paranormal Romance, Beautifully written, Delicious and Unputdownable. Rated 4.2 stars on 39 review. 270 pages. ASIN: B01IAQMHOC. ***New Corpse In Town (Secret Seal Isle Mysteries, Book 1) (Steamy FBI Mystery Deal of the Day, Sponsor, NY Times Bestselling Author, Suspense Thriller) by Lucy Quinn. Price: $0. Genre: Steamy FBI Mystery Deal of the Day, Sponsor, NY Times Bestselling Author, Suspense Thriller. Rated 4 stars on 448 review. 236 pages. ASIN: B01IFSDRW6. **Eye of the Moon (Paperback) (Thriller Deal of the Day, Sponsor, Supernatural, A deftly crafted and simply riveting Mystery) by Ivan Obolensky. Price: $16.99. Genre: Thriller Deal of the Day, Sponsor, Supernatural, A deftly crafted and simply riveting Mystery. Rated 4.8 stars on 67 review. 554 pages. ASIN: B07BH41NB5. *Game of Twins (Murder Mystery Deal of the Day, Sponsor, Murders of Twin Teens, Going Back more than a Hundred Years, A Serial Killer that is over 100 years old) by Mo Robinson. Price: $4.99. Genre: Murder Mystery Deal of the Day, Sponsor, Murders of Twin Teens, Going Back more than a Hundred Years, A Serial Killer that is over 100 years old. Rated 5 stars on 1 review. ASIN: B07GVTYBYT. *Related By Blood: Book 1 (Psychological Thriller of the Day, Sponsor, Psychological Suspense, If you like Gone Girl) by Holly Sheidenberger. Price: $0. Genre: Psychological Thriller of the Day, Sponsor, Psychological Suspense, If you like Gone Girl. Rated 4.6 stars on 3 review. 20 pages. ASIN: B07GQZW1QZ. **Sugar And Spice And Not So Nice (A Mellow Summers Paranormal MysterySeries Book 1) (Cozy Mystery of the Day, Sponsor, Murder Mystery) by Janet McNulty. Price: $0. Genre: Cozy Mystery of the Day, Sponsor, Murder Mystery. Rated 4.2 stars on 78 review. 131 pages. ASIN: B00727XQI2. *Beyond Chains (Inspirational Christian Fiction of the Day, Sponsor) by Mark Anthony Nze. Price: $0. Genre: Inspirational Christian Fiction of the Day, Sponsor. Rated 5 stars on 1 review. Author’s website! *5 Inspiring Stories (Christian Fiction Deal of the Day, Sponsor, Stories of God’s Miracles) by Dmitri Dobrovolski. Price: $0.99. Genre: Christian Fiction Deal of the Day, Sponsor, Stories of God’s Miracles. Rated 5 stars on 1 review. 76 pages. ASIN: B07DRS5FDY. *Rhythm (Ihy Saga Book 1) (Paranormal & Urban Fantasy Deal of the Day, Sponsor, A Physical Mystic for a Son of Ancient Egyptian god, Can he Dodge Assassination by Religious Zealots) by Bill Ricardi, Natalie Marten. Price: $3.99. Genre: Paranormal & Urban Fantasy Deal of the Day, Sponsor, A Physical Mystic for a Son of Ancient Egyptian god, Can he Dodge Assassination by Religious Zealots. Rated 5 stars on 1 review. 250 pages. ASIN: B07G774Q1Q. * Enlightened (Fantasy Deal of the Day, Sponsor, A Tale Working across many Time Periods with Interesting Scenario on Afterlife, What happens when you die) by Billie Kowalewski. Price: $1.99. Genre: Fantasy Deal of the Day, Sponsor, A Tale Working across many Time Periods with Interesting Scenario on Afterlife, What happens when you die. Rated 4.4 stars on 36 review. 351 pages. ASIN: B06VTBR36K. *Siren’s Lure: An Aermian Feuds Novel (Dark Fantasy of the Day, Sponsor, USA Today Bestselling Author, Pirates, Revenge, Sirens) by Frost Kay. Price: $0. Genre: Dark Fantasy of the Day, Sponsor, USA Today Bestselling Author, Pirates, Revenge, Sirens. Rated 4.7 stars on 95 review. ASIN: B07DMW8WTV. *The Divine Dissimulation (The Divine Zetan Trilogy, #1) (Science Fiction Adventure Deal of the Day, Sponsor, Interesting mix of Religion & Politics) by Martin Lundqvist. Price: $3.00. Genre: Science Fiction Adventure Deal of the Day, Sponsor, Interesting mix of Religion & Politics. Rated 5 stars on 5 review. 284 pages. ASIN: B0785P4L87. *The Slave King (Parthian Chronicles Book 10) (Historical Fiction Deal of the Day, Sponsor, War, Parthia and Rome) by Peter Darman. Price: $4.50. Genre: Historical Fiction Deal of the Day, Sponsor, War, Parthia and Rome. Rated 5 stars on 9 review. Paperback version! ASIN: B07DKFN4PR. *The Promise of Tomorrow (Paperback) (Historical Fiction Deal of the Day, Sponsor, World War I) by AnneMarie Brear. Price: $13.49. Genre: Historical Fiction Deal of the Day, Sponsor, World War I. Rated 5 stars on 1 review. 355 pages. ASIN: B07GHCXQ8Y. *Chasing the Wind (Historical Fiction Deal of the Day, Sponsor, Nazi German, Historical Facts Expertly Woven into Fiction) by C. C. Humphreys. Price: $0.99. Genre: Historical Fiction Deal of the Day, Sponsor, Nazi German, Historical Facts Expertly Woven into Fiction. Rated 4.6 stars on 40 review. 298 pages. ASIN: B07D6Z9BQ4. **Jaclyn and the Beanstalk (YA Fantasy Deal fo the Day, Sponsor, Her Father and his Friends Heads out to Hunt Monsters Terrorizing a Small Village, but they don’t Return) by Mary Ting. Price: $1.99. Genre: YA Fantasy Deal fo the Day, Sponsor, Her Father and his Friends Heads out to Hunt Monsters Terrorizing a Small Village, but they don’t Return. Rated 4.4 stars on 64 review. ASIN: 1944109749. **The Six and the Crystals of Ialana: Book One of the Ialana Series (Paperback) (YA Science Fiction Deal of the Day, Sponsor, Visionary & Metaphysical) by Katlynn Brooke. Price: $20.99. 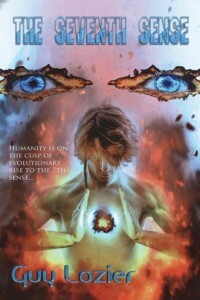 Genre: YA Science Fiction Deal of the Day, Sponsor, Visionary & Metaphysical. Rated 4.3 stars on 51 review. 272 pages. ASIN: B00KK5IPN4. *Snow Flower And The Panther (Paperback) (Children’s Book Deal of the Day, Sponsor, A Young Girl, A Panther Cub, Beautifully Written and Illustrated) by Fleurie Leclercq. Price: $12.99. Genre: Children’s Book Deal of the Day, Sponsor, A Young Girl, A Panther Cub, Beautifully Written and Illustrated. Rated 4.9 stars on 16 review. 43 pages. ASIN: B07DYHP7RZ. *“Cucumbers Have Thorns and Snakes Loves Strawberries”: How I won (Paperback) (African American Biographies & Memoirs Deal of the Day, Sponsor, Courageous and Empowering Memoir, Compassionate Telling) by Janice E. Sullivan. Price: $12.26. Genre: African American Biographies & Memoirs Deal of the Day, Sponsor, Courageous and Empowering Memoir, Compassionate Telling. Rated 4.9 stars on 32 review. 340 pages. ASIN: B0040JI3S8. **We All Scream: The Fall of the Gifford’s Ice Cream Empire (Biographies & Memoirs Deal of the Day, Sponsor, Behind the Scenes of the Iconic Gifford Ice Cream Empire, A Peek behind the Facade, Crushing Bankruptcy, Two Million Dollars of Missing Cash, Tragic Suicide) by Andrew Gifford. Price: $8.99. Genre: Biographies & Memoirs Deal of the Day, Sponsor, Behind the Scenes of the Iconic Gifford Ice Cream Empire, A Peek behind the Facade, Crushing Bankruptcy, Two Million Dollars of Missing Cash, Tragic Suicide. Rated 4.4 stars on 67 review. 300 pages. ASIN: B071J956MY. *The 6D of Health (Non Fiction Deal of the Day, Sponsor, Health, Six Domains of Health, A New Model of Health and Wellness that could render the BioPsychoSocial Model obsolete) by James Alegbeleye. Price: $11.99. Genre: Non Fiction Deal of the Day, Sponsor, Health, Six Domains of Health, A New Model of Health and Wellness that could render the BioPsychoSocial Model obsolete. Rated 5 stars on 1 review. 292 pages. Paperback version! ASIN: B077NLY88D. *Social Media Just for Writers: How to Build Your Online Platform and Find and Engage with Your Readers (Nonfiction Guide for Writers Deal of the Day, Sponsor, Improve your Blogging, Find and Engage your Readers in different Locales) by Frances Caballo. Price: $4.99. Genre: Nonfiction Guide for Writers Deal of the Day, Sponsor, Improve your Blogging, Find and Engage your Readers in different Locales. Rated 4.3 stars on 15 review. 231 pages. ASIN: B01N5RJGST. *…Stepping Lightly Through Times of Great Change: hints and holograms for your well-being (Non Fiction Deal of the Day, Sponsor, Self Help, New Age, Positive Thought, The New Science of the Brain) by Diane de Simone. Price: $0.99. Genre: Non Fiction Deal of the Day, Sponsor, Self Help, New Age, Positive Thought, The New Science of the Brain. Rated 5 stars on 1 review. 27 pages. ASIN: B07H12GQL4. *Meth Vs Death No Way Out (Nonfiction Deal of the Day, Sponsor, Drug Memoirs, Drug Dependence) by Stormy Rainey. Price: $4.99. Genre: Nonfiction Deal of the Day, Sponsor, Drug Memoirs, Drug Dependence. Rated 4.4 stars on 6 review. 370 pages. ASIN: B07C3C75XQ. *The Truth About Alcohol – The Hidden Secrets Revealed (Non Fiction Health and Fitness of the Day, Sponsor, Addiction, The Dangers of Alcohol) by T.J. Levi. Price: $0. 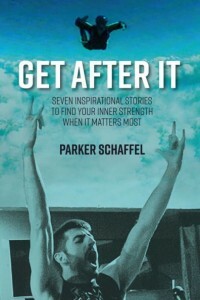 Genre: Non Fiction Health and Fitness of the Day, Sponsor, Addiction, The Dangers of Alcohol. Rated 5 stars on 1 review.